Rated 5 out of 5 by AdrianaIP from I still miss seeing the pictures, but... 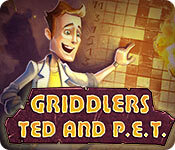 It would be nice if we could see the pictures once completed, and to know what HOG/adventure game Ted and P.e.t. comes from. But when you have beat a tough griddler with no hints, and no mistakes, by pure logic, and feel great about yourself, then who cares? Good puzzles, all solvable by pure logic, some that seem impossible until you find the way. Exactly what I want in this kind of game. The rest, colors, musci, story, pictures, is gravy on top, and in a pinch we can do without. Rated 4 out of 5 by verimeri from good griddlers I liked this game. The puzzles got quite challenging but never impossible. I play grids for the challenge- don't really care if there is a story or not. Rated 4 out of 5 by alowan from Fine with me! I am enjoying this. I just finished the demo, and will "buy" it after the sale, with one of my many codes. There's rarely a story with these games, and I don't miss it. It's the puzzles I like! Nonograms FTW! The only gripe I have is that the Xs are too dark, making the images hard to see. But I only missed 2 images, and I got up to the 10 x 15 grids during the demo. I would like to have either more time to look at the image, or a tiny version of it on the Results window. Rated 4 out of 5 by MrsElectkatt from Another great griddler I was surprised by the low rating from earlier reviewers so decided to look because I really enjoy this type of griddler. It is obviously from the same people who made "Detective Riddles - Sherlock's Heritage". Which I do recommend. 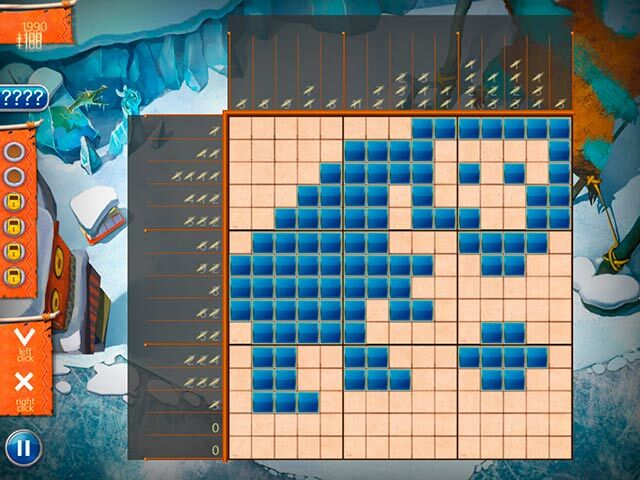 The reason I like the riddles from this maker is that it IS POSSIBLE to solve the grids without clues. (Unlike that penguin series). I am up to level 16 so far and have not needed any clues. Nor have I had any program glitches. I have rated the game excellent for Level of Challenge because even though it is not difficult up to Lvl 16 I know how it will progress based on previous games from this maker. While I agree that the screen presentation could be better (one area where the penguin does succeed), I do not have an issue with seeing it and my eyes are not so young. It says it has improved game play. I am not sure what is so different, it looks the same to me. I do like the game and will definately be buying it. Rated 3 out of 5 by VAwitch from Ok to pass the time, but pictures are helpful I love these kinds of games, but have to admit that I'm not impressed anymore with those that don't have some kind of picture, such as the Fantasy Mosaics series gives. It is both helpful, and frankly, pretty, to have a "goal" other than not messing up. Rated 3 out of 5 by DRAGONWYN from NO STORY .But not as bad as ealierr views! I was hoping for a story like the game page described. No story. I've bought several games from this designer like the Asian Griddlers. Same size grids. I had no problem right clicking to mark blank spaces and the game played fine without crashing. Earlier reviews may have computer problems. It's a simple grid game , good for beginners. 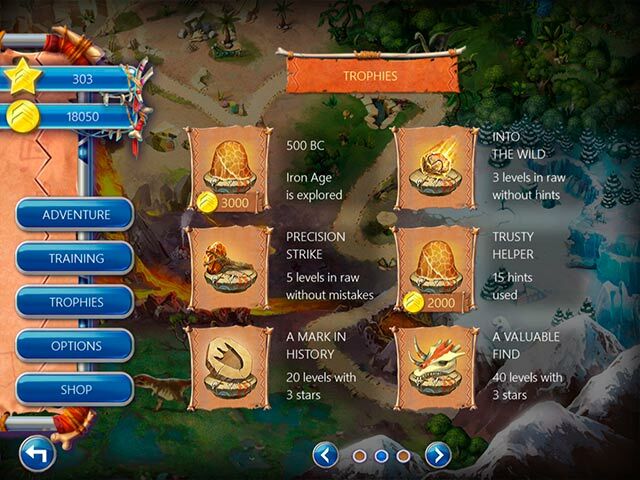 The more advanced games would prefer maybe the multicolor Fantasy Mosaics. I'd recommend for those new to the game type.. Rated 3 out of 5 by mrm2006 from Just another day in Griddler-ville. I'm not sure there is a storyline. I'm not sure what 'P.E.T.' stands for. But I did find the game entertaining in that it did get more difficult as you progressed. The graphics, while not being the multi-colored screen we're accustomed to in another popular Griddlers-type game, is clear and there is a definitive idea of what is supposed to be 'colored' and what is not. At the end of each level the end picture might be difficult to figure out, there ARE pictures ..... just look harder! There are several modes of play: Practice for Beginners, Practice for Experts, Adventure and one other (I think - sorry!!!). Same rules apply in this game as others of this type. There are numbers at each side, top and bottom of a graph board. Using the numbers shown, fill in the blanks. Upon completion there should be SOME kind of picture.' I'm not saying this is the best game of this type on the market (IMO Fantasy Mosaics). I'm not saying it's the best teaching game (IMO Gemsweeper). However, for a boring weekend ..... rainy weekend .............. snow days home ........... it's not ENTIRELY a bad game. Will I purchase it? Maybe if 'FM' stops making games - lol! ENJOY! Rated 3 out of 5 by susieq_fun from Disappointed I love this type of game, so maybe I'm spoiled. In this one, it's hard to tell what the pattern is supposed to form. The level of challenge is very low. I decided not to buy it. Rated 2 out of 5 by AsiaMinor from Way to easy I've purchased a few of these. The Valentine's and Christmas, they were good. This version is just to darn easy that I hate playing it. I'm almost done but all levels and it does not get harder. Just the same old old easy stuff. Rated 2 out of 5 by lauwoo from Needs work This game was way too easy. 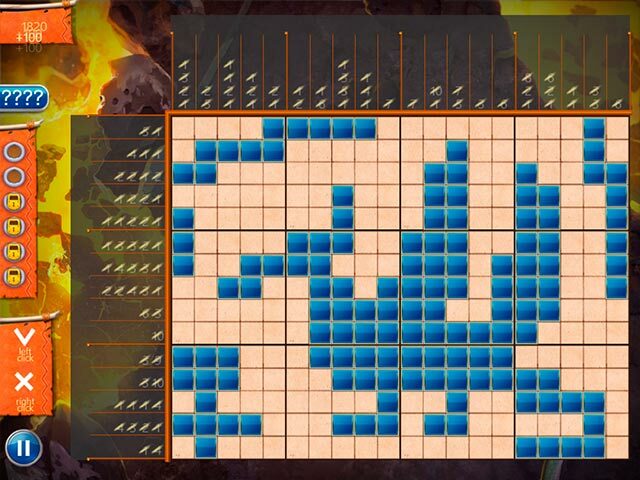 I finished 75 puzzles during the trial. Could use timed mode or achievements to keep me interested. Music is okay. I love griddler games, but am disappointed so often. I suggest that you try Gizmos or World Mosaic series. Nothing else can compare.